The answer is: it depends! Auto shipping rates vary widely based on a number of factors, including the make and model of your vehicle, whether the car is running or not, whether your destination is in a major city or rural area, and whether you prefer an open or enclosed car carrier shipment. 4 Shipping a vehicle is about saving time and money! When asking the question, “how much is car shipping from one state to another,” consider this scenario. According to the AAA, the national gas price average in US is $2.70 per gallon (as up to 11/14/2018). If you drive a standard vehicle that gets 25 miles to the gallon (and your vehicle has a 12 gallon tank) you will most likely spend around $36 dollars if you travel approximately 300 miles. In addition, if you drive 70 miles an hour, you will spend less than 5 hours travelling (depending on traffic). A trip from Chicago to Philadelphia might only cost you $96. Not bad, right? Are you simply taking a trip or are you relocating to another state? 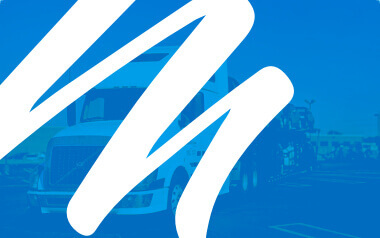 Shipping your vehicle is not only about saving time, it is about saving money. Traffic can be very unpredictable. How much would it cost you, if your driving trip takes longer than expected? Can you afford to miss a meeting? Do you feel comfortable starting over in a new city or state being steps behind? These are rates received from reliable car transport company. Travelling from Chicago to Seattle, Washington may take approximately 1 day and 9 hours while you put 2,064 miles on your vehicle and spend $240 for gas, or you can have it shipped for approximately $1079. Travelling from Chicago to Albany, New York may cost you 12 hours and 23 minutes of your life, while you put 816 miles on your vehicle and spend $97 for gas, or you can ship it for $709.00. Relocating from Chicago to San Antonio, Texas may cost you 19 hours and 59 minutes of your life while you put 1,240 miles on your vehicle and spend $150 for gas, or you can ship it for approximately $799.00. Travelling from Chicago to Miami, Florida may cost you 20 hours and 48 minutes of your life while you put 1,379 miles on your vehicle and spend $166 for gas, or you can ship it for an average of $889.00. Shipping a vehicle is about saving time and money! So, how much is car shipping from one state to another? 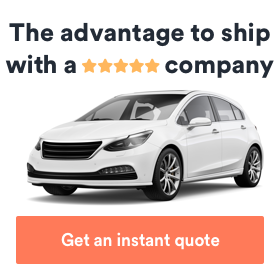 Auto shipping rates vary from state to state thus you have to make sure you shop around, but never go for the lowest quote. A drastically low quote raises a red flag and often leads to car shipping scams. Car transportation service is the ultimate choice when a person or family is relocating or moving to another state, especially if it is across the country. Shipping can save your vehicle mileage as well as the hassle of traffic and/or any car trouble that may be unpredictable. Don’t fall for some of the top myths about car shipping and consider this option when you have to relocate. Thus, when moving consider all the expenses involved and the total cost and compare to the vehicle shipping cost. Learn more about Montway’s shipping services, including military car shipping and everyday auto transport, and don’t hesitate to get your auto transport quote today!